Hamburg, the second largest city of Germany and located in the northern-most part of the country, is home to 1.8 million residents. Situated on the River Elbe, Hamburg benefits from its large port and is one of the wealthiest cities in Europe. A portion of the port’s land, located in the heart of Hamburg, was consolidated and left vacant for decades. In 1997, the City designated this 157-hectare (388-acre) site as HafenCity and begun the complex planning process of creating a new city. 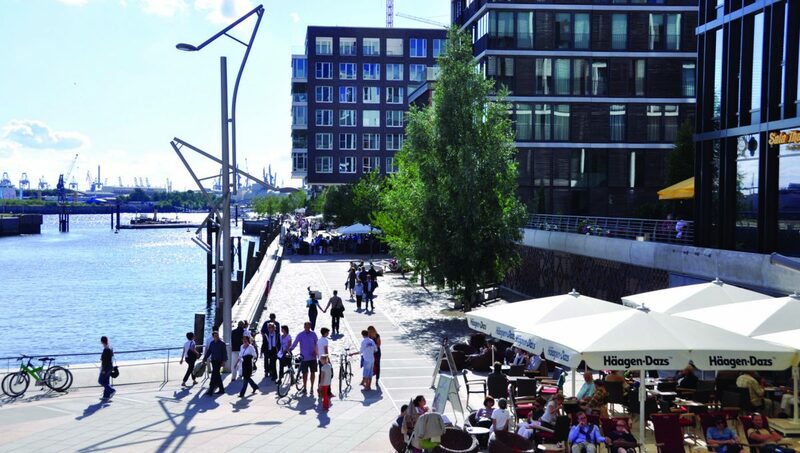 Because of its prime, central location in Hamburg, HafenCity is an ideal hub for residential, commercial, cultural, and business uses. Am Sandtorkai/Dalmannkai was the first completed neighbourhood in HafenCity (2009) and the rest of HafenCity will finish by 2025. HafenCity Hamburg GmbH, a 100% subsidiary of the Free and Hanseatic City of Hamburg, is developing HafenCity at Hamburg’s behest. This entity is responsible for administration of the “special city and port fund” under public law. Sales of HafenCity land, mostly owned by the City of Hamburg, finance the majority of public infrastructure, which HafenCity GmbH builds. In addition to planning, building, and financing responsibilities, HafenCity GmbH produces a new downtown and is intent on creating an active community with successful commercial and business uses as well as residential and leisure facilities. On top of that goal, the city should be sustainable, designed well, and most importantly, fine-grained and alive on the ground level beyond regular business hours and the whole year long. HafenCity GmbH set up a one-of-a-kind system for ensuring success. 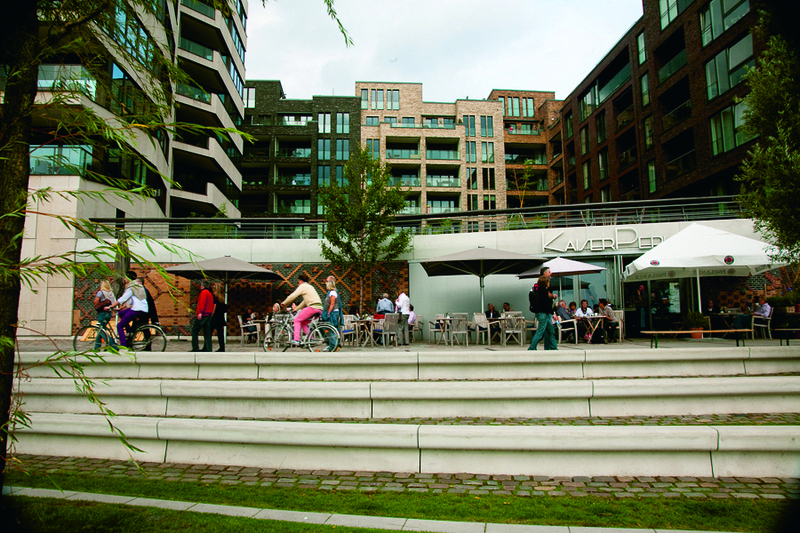 From the very beginning, HafenCity GmbH set the ground level development as a high priority. With this in mind, HafenCity established a unique land-purchasing and -developing strategy. 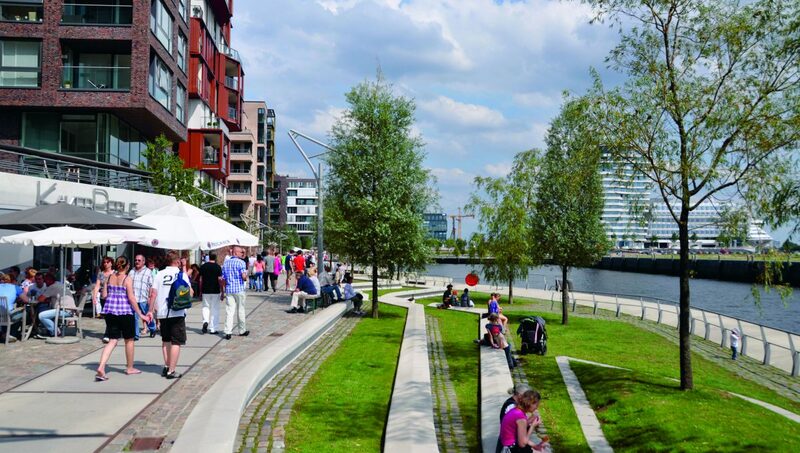 For each plot, HafenCity GmbH produces a set of criteria that spells out the specific demands for the site, also particularly related to the ground level –land usage, design, etc. For example, 5m (16ft) ceilings are required for ground floors to accommodate not only for retailers but also catering, exhibition areas, museums, theatres, cinemas, schools and universities, or other businesses. Also, the price for ground floor space are reduced to entice new uses and to experiment. Finally, the investors are obliged to seek corresponding users to make sure that the mix of uses brings customers and visitors to flow through HafenCity seven days a week and the whole year long. We pay a lot of attention to our plinths in HafenCity. Soft strategies are the key to success, such as networking, information and communication with and between all parties involved. Fixed property regulations also play a major role for the whole development. floor, with the aim to provide investors with new ideas and inspiration. Together, the requirements create a whole ground-floor concept. of associations made up of community residents and commercial uses to keep communication lines open, honest, and working well. They hold regular community meetings to ensure proper dissemination of information and to identify problems and find solutions. Set objectives. The requirement for each plot helped maintain certain goals and objectives for land use, design, and sustainability of the ground floor’s public realm. HafenCity GmbH demanded the investors to meet those objectives and set the bar very high. But the system is flexible, far more flexible then a long-term fixed development plan and the market can react with innovative ideas. Think outside the box. 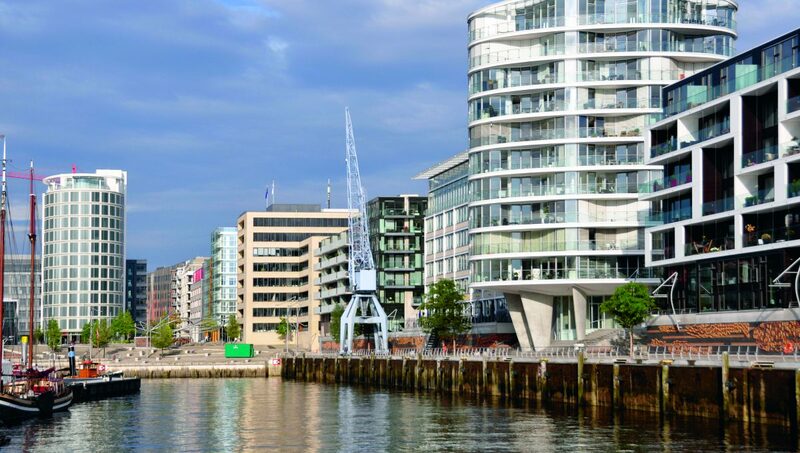 HafenCity GmbH forced the investors to think of ground floor utilization; even residential-focused investors must think about ground floor from the beginning. The process of learning for both HafenCity GmbH and the investors was challenging and time-consuming, but earned success in the end. Form a network. Community associations, round-tables for investors and developers, and public meetings helped create networks, prevent potential problems, and made it easier to solve problems. 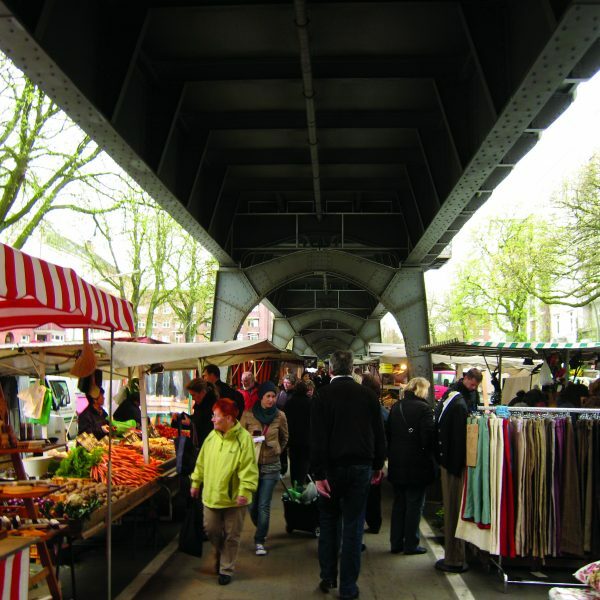 For example, to create unconventional solutions to handle on-going construction work, which aggravate ground floor tenants, the group created a small village of temporary units (tents) in another part of the neighbourhood, away from construction dust and noise. ground floors on a grand scale was a major success. The architectural conditions in sale contracts and zoning plans, the reduced price for ground floor space and the forcing investors to seek corresponding users all laid the foundation for a growing vitality. The neighbourhood has a good mix of residential and commercial uses, and the network between commercial and residents remains strong as well. Issues concerning ground floor design, accessibility, configuration of public spaces, and orientation systems for customers have been thoroughly discussed, altered and made even more explicit. Through learning, patience, and collaboration, HafenCity’s first neighbourhood was completed in 2009. Am Sandtorkai/Dalmannkai is now home to about 1,500 people and 2,700 new jobs. The cityscape in this neighbourhood is quite diverse; 27 developers and 26 architecture firms were involved in the 15 buildings of the neighbourhood. The ground level is a public place, open to everyone. 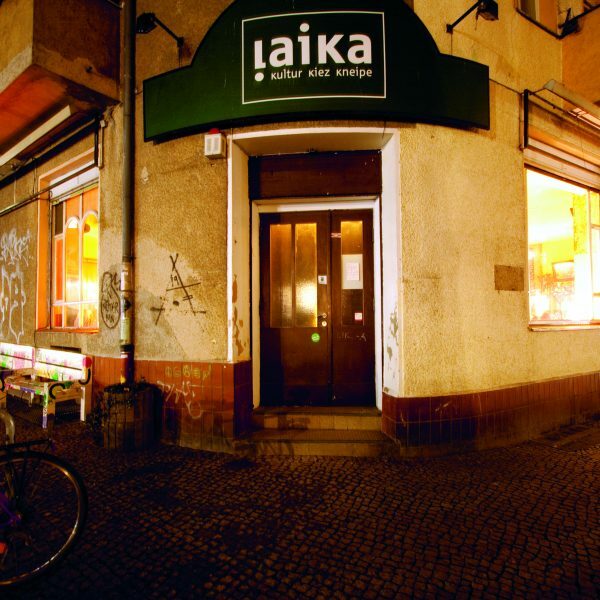 Together with the investors, developers, and architects, the GmbH advocated for a well-designed and thoughtful ground floor through their site-specific demands. They set clear objectives and pushed investors to think outside their comfort zone—and ended up with a complete neighbourhood with its own character and identity. Continued cooperation with all partners and especially the community network shows a real investment and dedication to HafenCity, qualities that will carry on to the next phases of the city.